When you operate a busy place of business it can get dirty really quickly, the cleanup can sometimes be a tedious chore that’s made worse when you don’t have the proper tools for the job. However, if you own a floor sweeper by Alphaclean that tedium will vanish as will the mess. Alphaclean has an extensive line of floor sweeper models and all have their own unique design. Different models are designed to be put to use in different commercial settings from a small office to a large factory or warehouse for our sweepers. There are currently six models in the Alphaclean line with an upcoming expansion taking it to eight models total. Alphaclean floor sweepers are known across Australia for their quality design and products. Each model is color coded as well. Series features two models, the STR1300 & STR1500 that will be red. If you have a smaller office setting then the B Series is the range for you, you should know that no matter what the size or model all floor sweepers will have the same quality cleaning power you’d expect from Alphaclean. If you have an “in-between” commercial space then the G Series is designed with you in mind and once it’s released the R Series will handle your larger jobs. TRS technology is a feature found in every model as well, this tech creates a powerful floor sweeper that does its job exceedingly well. The Alphaclean website has details on specifications for every model in the Alphaclean line so if you have questions are sure to check the website. If you have questions on a certain model you are welcome to contact us! 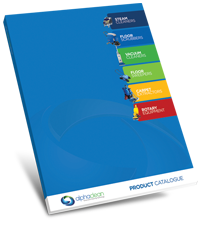 The Alphaclean team will be delighted to help you choose a floor sweeper.